The sharing economy is an exciting new story for a new economy. It’s an idea that’s going mainstream and is often talked about in terms of matching needs with haves and connecting supply and demand at the peer to peer level. You might have first-hand experience of how the sharing economy provides opportunities to better utlise your idle assets whether a spare bedroom, that car sitting in your driveway, or even the driveway itself. There’s also a raft of new service exchanges that enable people to share skills and errand marketplaces that provide task-based opportunities for people to supplement their income. This new economy is also giving rise to the next generation of innovative enterprises that could reinvigorate local manufacturing through makerspaces that utilise open design; coworking communities that pool talent and creativity; and co-operatives which promote solidarity through worker-owned alternatives. Melbourne is home to a diverse sharing ecosystem bringing this new economy to life. These sharing innovators include the Clothing Exchange which runs clothing swaps to encourage sustainable fashion; the Open Food Network which uses open source software to create more resilient food systems; and 3000 acres which unlocks vacant land across the city for urban agriculture. What’s not often talked about is how the sharing economy is an interesting hybrid between the public, private and community sectors and relies on a range of public goods and commonly owned resources to operate effectively. These include everything from the Internet to road networks and GPS technology . Cities are at the vanguard of the sharing movement as hubs of disruptive innovation, knowledge transfer and creative communities. Melbourne and other cities are also at the pointy end of a range of big challenges including everything from climate change to food security, inequality and resource depletion . Melbourne's population of 4.3 million is forecast to rise to 7.7 million by 2051. It also has ambitious targets to become a Zero Net Emissions City by 2020. For Melbourne to thrive over the coming decade and address these looming challenges head on, we need breakthrough ideas for how we produce, own and consume stuff in a carbon and resource constrained world while enjoying satisfying lifestyles. A sharing economy that prioritises economic democracy, social justice and environmental sustainability provides a genuine path to prosperity and sustainability based on optimising our existing assets and creating high-value services that support generative forms of value creation for local communities. That’s why Sharing Cities is a refreshing antidote to the top-down, technologically deterministic vision of the future we so often hear about in discussions of Smart Cities and the Internet of Things - a vision dominated by sensor networks, data mining and myriad opportunities for corporate and government surveillance. Too many cities have been quick to embrace ‘smart technologies’ that attempt to overlay a city-wide digital operating system. Where integrated water, energy and transportation networks track and respond to the movement of people and objects. What social contract between cities and citizens have been negotiated in the roll-out of these technologies? Cities have also been slow to respond to the complex impacts of transport and short-term accommodation providers and have failed to make the critical distinction between the ‘on-demand service economy’ and the real sharing economy. If we see the ‘City as a Platform’ for sharing, then our choices become narrowed when hyper-disruptive players become too powerful, too quickly, which can result in a range of undesirable consequences including the potential privatisation of public infrastructure and intensification of the housing affordability crisis . Sharing Cities like Seoul, South Korea provide citizen-centric alternatives that focus on increasing the sharing capacity of existing infrastructure like access to public buildings and free Wi-Fi for the city. The Seoul Municipal Government has also enacted legislation to better enable sharing, runs an incubator program and provides financial support to dozens of local sharing enterprises that offer everything from ridesharing to coworking and youth engagement. Amsterdam has become Europe’s first Sharing City and convened an Ambassador Group with representatives from the corporate, government and knowledge sectors to develop a program of activities to strengthen the local sharing economy. Amsterdam Sharing City is working with partners to prototype projects as a means to explore the potential to leverage sharing for greater economic, social and environmental benefits to the city. 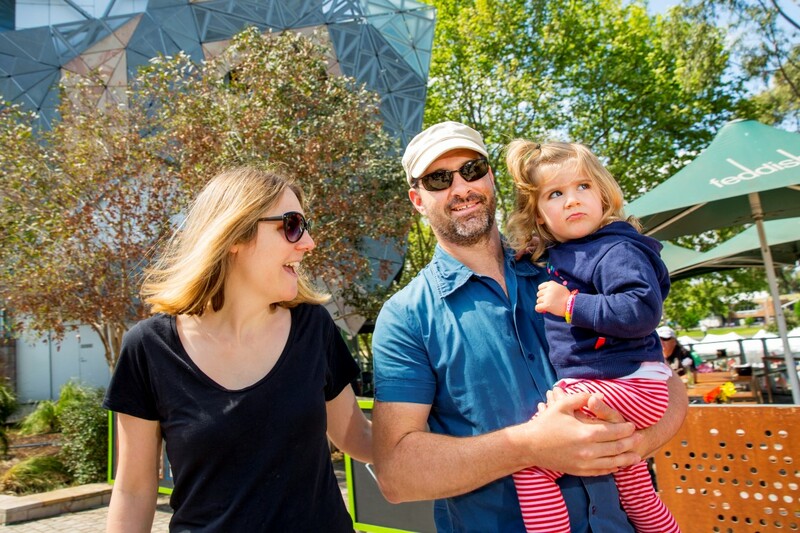 Melbourne is already demonstrating its support for Sharing City-type initiatives through its Open Data, Bike Share and car sharing programs. Recent experiments in deliberative decision-making like Citizen’s Juries and collaborative planning via Participatory Budgeting and Future Melbourne 2026 can only strengthen civic engagement and build active citizenship. There are also opportunities to leverage major investments like the QVM Precinct Renewal and Carlton Connect Initiative as test-sites for sharing at a precinct level. City governments can help strike a fair balance by putting citizens first and embracing disruptive technologies while protecting the public realm. Cities can design the infrastructure, services and regulations that enable sharing in all its forms and strengthen the Urban Commons through policies for sharing cities that support food, jobs, housing and transportation initiatives to keep and grow wealth in local communities. Sharing Cities create pathways for participation that recognise the City as Commons and give everyone in the community the opportunity to enjoy access to common goods and create new forms of shared value, knowledge, and prosperity. The time has come for Melbourne to become a Sharing City like trailblazers Seoul and Amsterdam who recognise that sharing builds urban resilience, economic interdependence and social cooperation. Sharing City Melbourne means that everyone who wants to participate in the sharing economy can have a fair go. Government and business must work together with citizens to develop policy solutions that make sense for people, cities and sharing enterprises. Sharing Cities provide a framework to make this vision for an inclusive sharing economy a reality. Darren Sharp is the Director of Social Surplus, a sharing economy consultancy that amplifies the strengths of people and communities through sharing. He is also the Australian editor of Shareable and the Melbourne Coordinator of the Sharing Cities Network. How does Melbourne become more of a sharing city? What new developments will benefit us? Share your ideas now.